The Minister of Planning, Dr. Nouri Sabah al-Dulaimi, chaired the meeting of the Technical Committee for the Strategy of Private Sector Development 2030, during which the formation of the Private Sector Development and Management Council was discussed in Iraq to achieve effective partnership with the public sector. Dr. Nuri al-Dulaimi said during the meeting, attended by the Undersecretary of the Ministry of Planning and a number of representatives of the private sector, experts and general managers in the ministries of planning, industry and trade, that the private sector needs to review the laws and regulations and instructions in force to overcome the obstacles to achieving a growing partnership with the government sector. The Minister of Planning said that the Private Sector Development and Management Council will assume the task of overseeing the development of the private sector and achieving sustainable development of the economy, which contributes directly to the fight against unemployment, pointing out that all relevant government bodies will be represented in this council. Dr. Nuri al-Dulaimi pointed to the importance of the existence of advantages and guarantees in the private sector, like the employees of the government sector, stressing the need to provide greater protection of the local product, and to provide conditions suitable for the work of various productive sectors in Iraq. 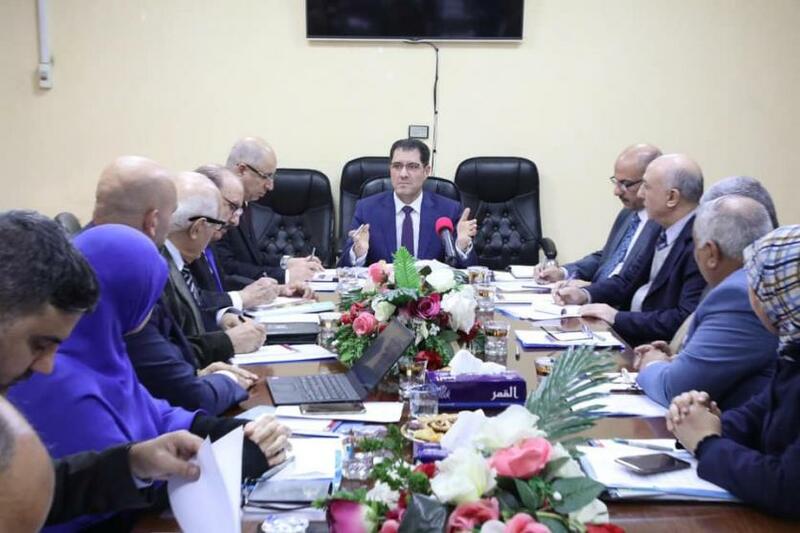 The meeting discussed the steps that the Ministry has undertaken to develop the private sector, the strategic plans that will be implemented by the Central Bureau of Statistics, the survey of the private sector, organized and unorganized. The stages of the review of the legal framework regulating the work of the private sector, Development of the five years 2018-2022.